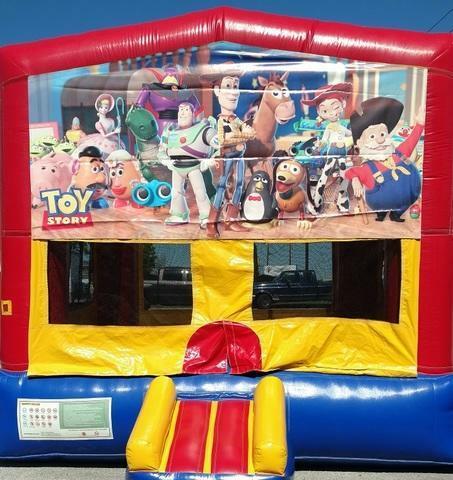 The Toy Story Themed Bounce House is one of our larger moonwalks that has a great maximum occupancy than most of our other rentals and is themed after the Amazing kids move "Toy Story". This moonwalk is perfect for large backyard parties, company parties, school events, festivals, and more. All bounce house rentals will be setup and ready to use before your party begins.